Based in Sanya Hainan Island China, Hainan Joy Tours & Travel Limited has visited MGM Grand Sanya personally and offers the best rates with most flexible cancellation policy, Sanya Airport/Sanya Train Station Transfer Services to MGM Grand Sanya, Day Tours in Sanya, Golfing Packages and Events/Meeting in MGM Grand Sanya. 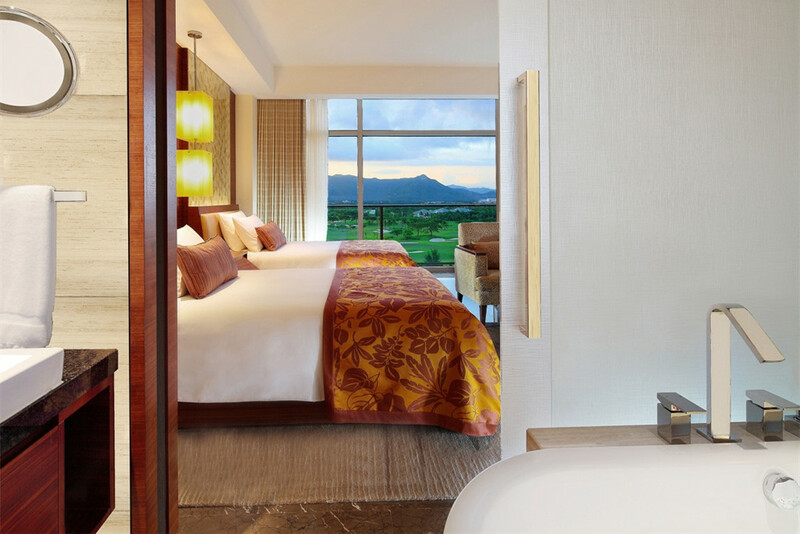 Caddie Lu’s Reviews from personal visit and stay: MGM Grand Sanya is the first MGM property on Mainland China. Invited by the General Manager & Director of Marketing Communication, Caddie Lu and her team visited MGM Grand Sanya on June.2nd 2012 for their pool party. We were late because of miscommunications. By the time we arrived, the pool party was almost finished. So we had dinner on the beach. 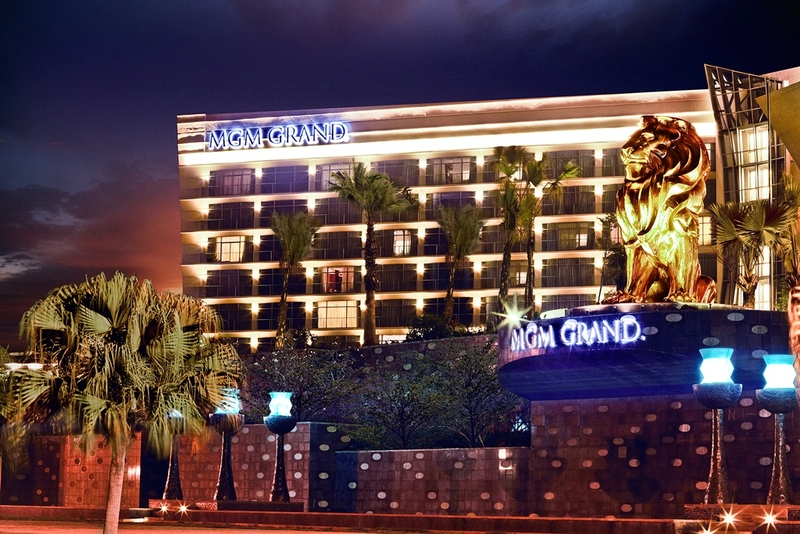 MGM Grand is rebuilt on Gloria Resort where Caddie Lu worked for 3 years 1997-2000 in the sales office. The walk after dinner reminded Caddie Lu of her time in Gloria, but we can’t find any hint of Gloria Resort any more in MGM Grand which is 2 times of the Gloria Resort. 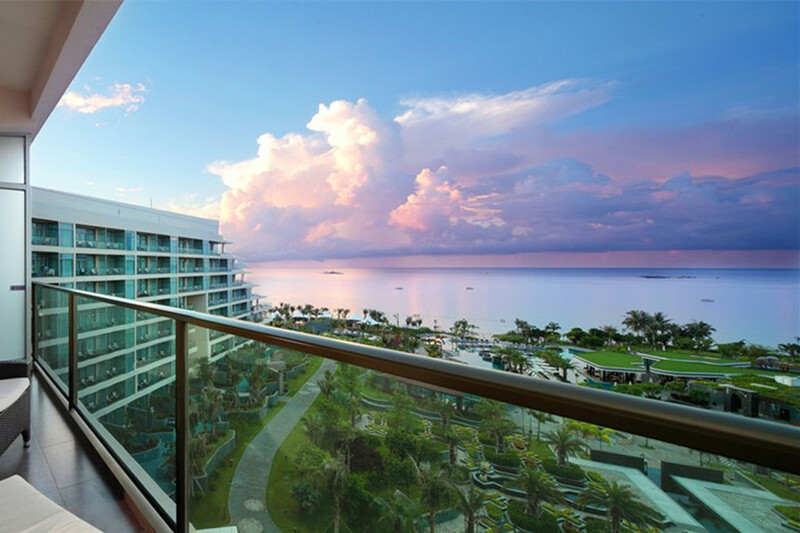 Location: Right on Yalong Bay Beach, 40 minutes driving from Sanya Airport, 20 minutes driving to Sanya Downtown Sanya, Sanya Bus Station & Sanya Train Station, 3.5 hours driving from Haikou Airport, walking distance to Yalong Bay Golf Club and 5 minutes driving to Sun Valley Golf Club. 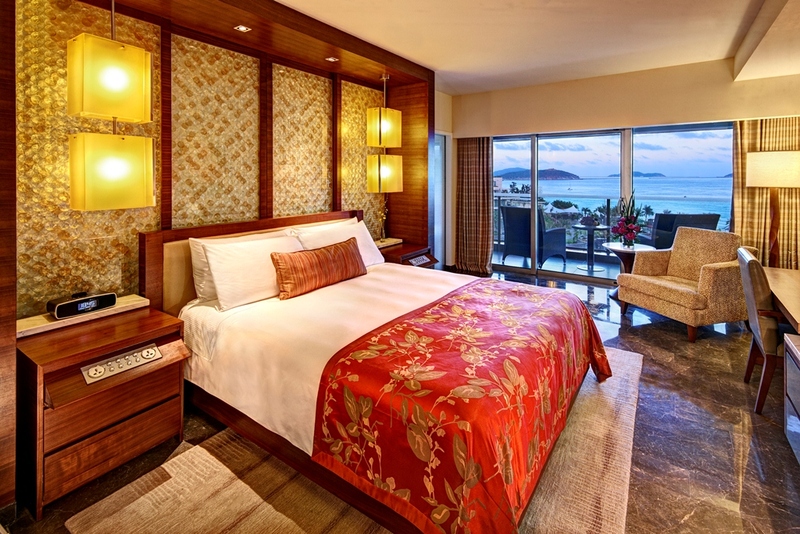 MGM Grand Sanya is a unique choice on Yalong Bay for beach pleasure & entertainment. Sometimes guests got bored staying on Yalong Bay without much entertainment during the night. 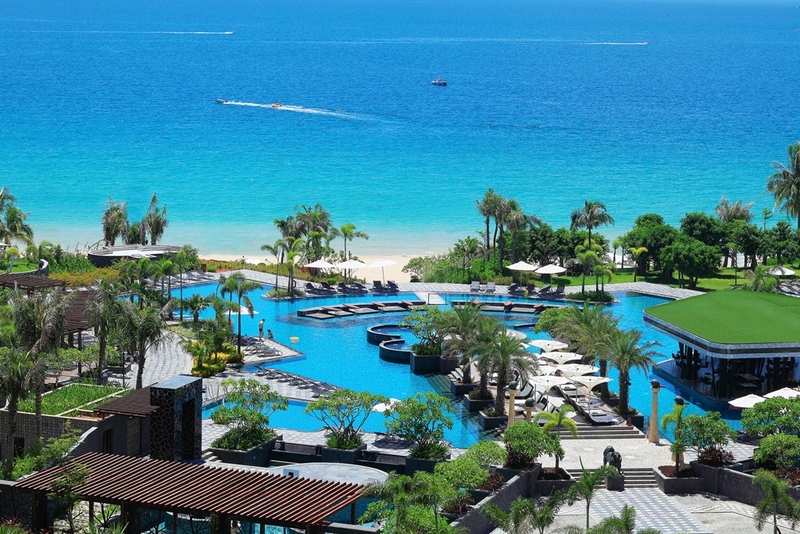 Now MGM Grand Sanya is a super new choice for guests who look for beach pleasure & entertainment. 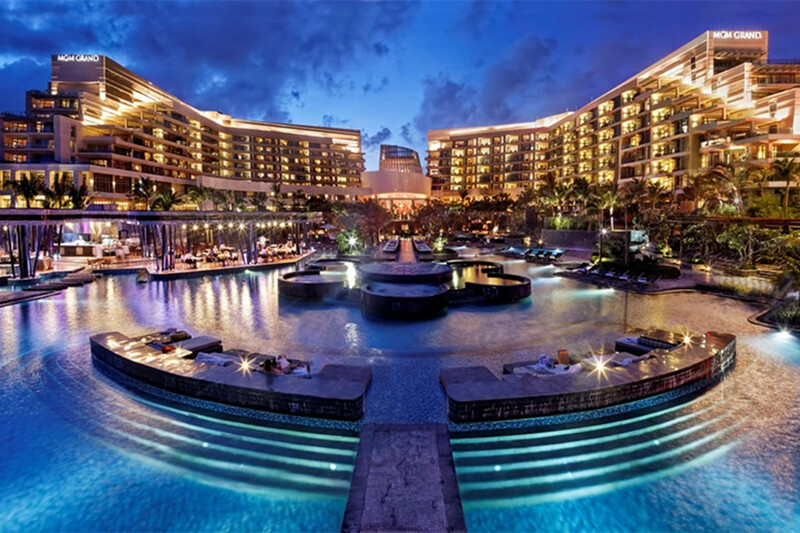 Except the common facilities of a beach resort, MGM Grand Sanya offers more for guests with night entertainment. 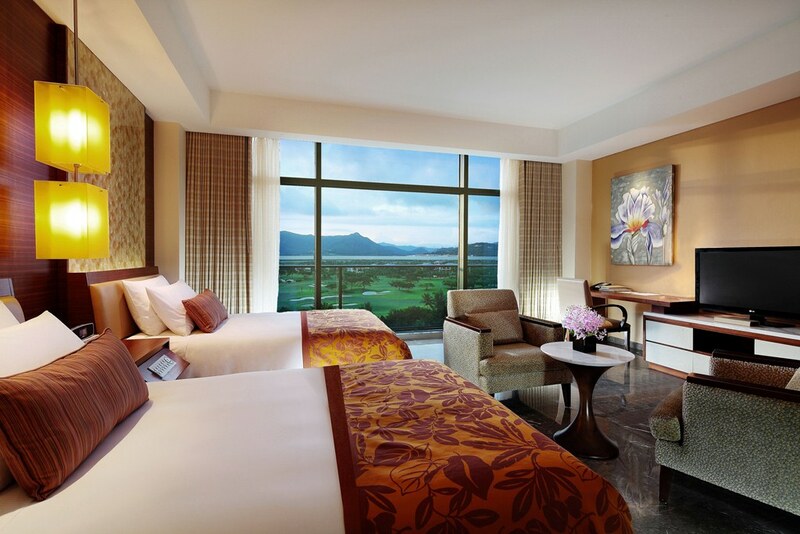 Rooms & Rates: Our Special offers with buffet breakfasts and local tax for max.2 adults/room/night. 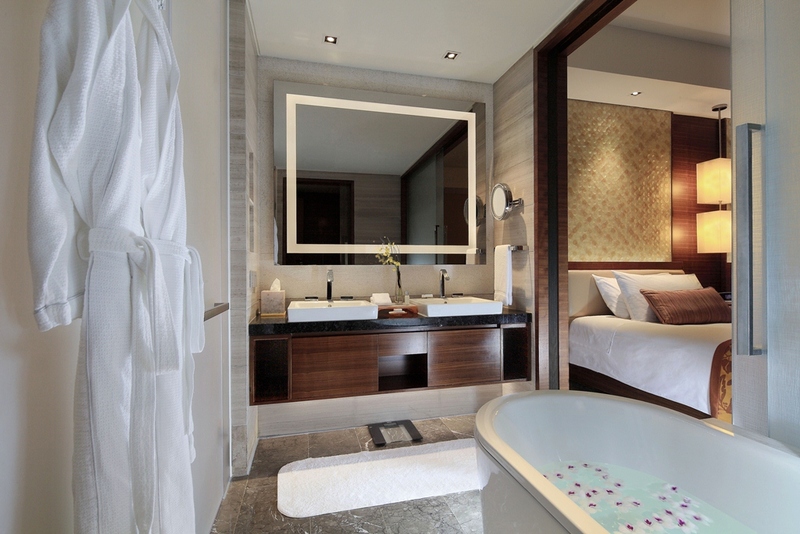 Extra bed at RMB565/night with 1 person’s buffet breakfast and local tax. extra breakfast at RMB240/adult, half price for children 6-12 years old, kids less than 6 years old get free breakfast. You may find other sites with cheaper offers. Please note their offers may not include buffet breakfasts, local tax and service charge. There are beachfront villas with 1-3 bed rooms, total 6 private villas right on Yalong Bay Beach. Food & Beverage: Chinese Restaurant, Western Restaurant, Poolside Bar, Lobby Lounge and Cafe Bar.